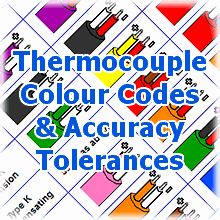 The TM-917HA thermometer measures RTDs and thermocouples to 0.01° resolution. It has a miniature thermocouple socket for five types of thermocouple and a 4-pin proprietary socket for 4-wire PT100 probes. We offer a range of standard probes or we manufacture them to you requirements. 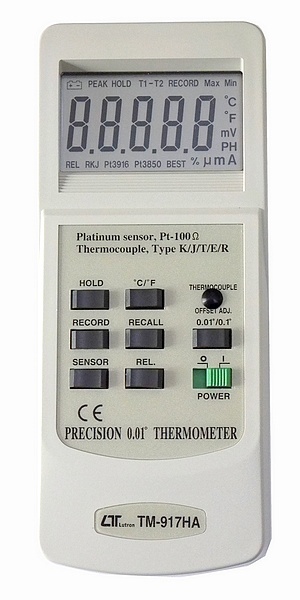 This instrument is also available as part of a Ref-Therm system – a hand-held digital thermometer and temperature probe UKAS calibrated as a system. For UKAS calibration at other points as a system with an Pt100 a custom probe, please contact us.